We normally wait until Friday to post these but this one is pretty exciting so we can't wait. Yesterday, Shakey Graves posted a recent live concert on his Bandcamp. Considering it was recorded on 2/6/16, it's very recent. Live at Levon's was recorded at Levon Helm Studios in Woodstock, NY. According to the description on Bandcamp, "This is a live experiment, testing out a few new songs in their baby form and playing others in a different arrangement or manner." Because of this, the entire thing can't be downloaded in one chunk through a zip drive since the new songs can only be streamed. The previously heard songs must be downloaded individually. Funny how times change, since 10 years ago I used to download songs individually every day and I was thrilled to do it. 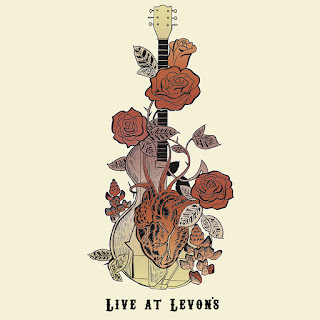 Live at Levon's is a great mixture of solo acoustic, electric, and full band performances. And, it's free. You can download and stream Live at Levon's over at Shakey Graves' Bandcamp. Be sure to check out his website for more info, including tour dates.